Positioned on what used to be the only highway through town, Magnolia Table now draws in patrons from around the country and the globe. Though a new restaurant itself, the Table resides in a building with a rich history that has welcomed hungry visitors for decades. The unique Spanish-style structure used to be home to a local staple, the Elite Café. 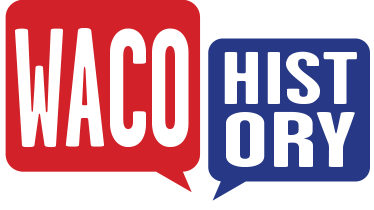 Originally started in 1919 by the Colias brothers in downtown Waco, the second location on the traffic circle opened in 1941. After the 1953 tornado decimated downtown, the brothers decided to cut their losses and only continue with the traffic circle location. Through changes of ownership and multiple remodels during the next five decades, the Elite remained a favorite, sentimental spot for many. 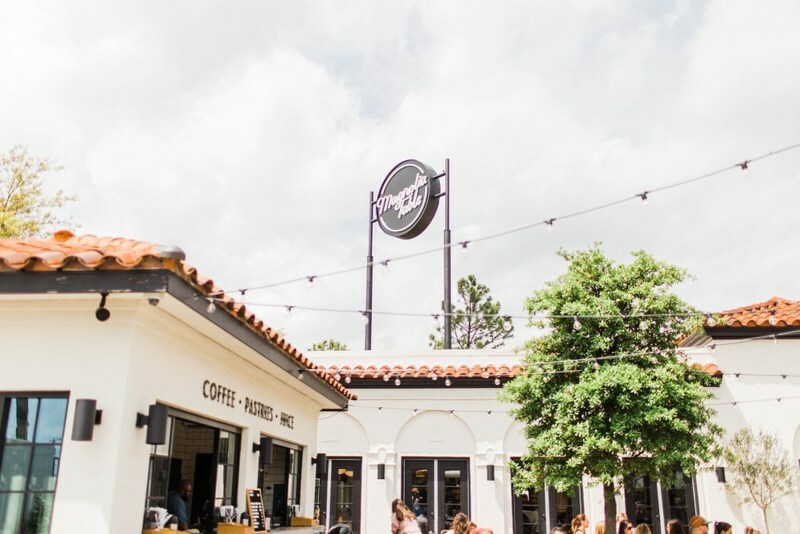 Chip and Joanna Gaines came onto the scene after the Elite Café closed its doors in 2016. The café had fallen on hard times, and many were sad to see it go. Yet the Gaines had other plans: they quickly bought the property and started designing a restaurant of their own. First, the couple decided to auction off all the original Elite contents to benefit Mission Waco and help build a grocery store in a local food-insecure neighborhood. Then, they made minimal renovations to the restaurant, as the building is a historic landmark. Now a blend of history and Joanna’s unique style, Magnolia Table still includes some special touches to honor the Elite Café. 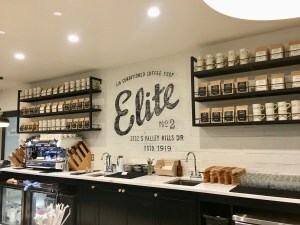 For example, the coffee corner in the restaurant holds an Elite mural, and the menu has a “1919” sandwich giving nod to a sandwich on the original Elite menu. You can see the complete transformation on season five of Fixer Upper. Though there was some initial controversy between the Gaines and the local historic commission about changing the name, most people were relieved that the building would still feed the hungry travelers of Texas highways. The menu itself is true to the Gaines farmhouse style, with many entrees featuring produce from their own personal garden. With the recipes designed by the Gaines themselves, Chip, a self-named “breakfast connoisseur,” is proud of the restaurant and the attempts to keep things local. Though breakfast is the specialty, the Gaines did not limit the menu, and lunch entrees are served as well. Reportedly, the first customers were their four kids (before the birth of Crew), but they were certainly not the last, as patrons today often wait a few hours for a table. 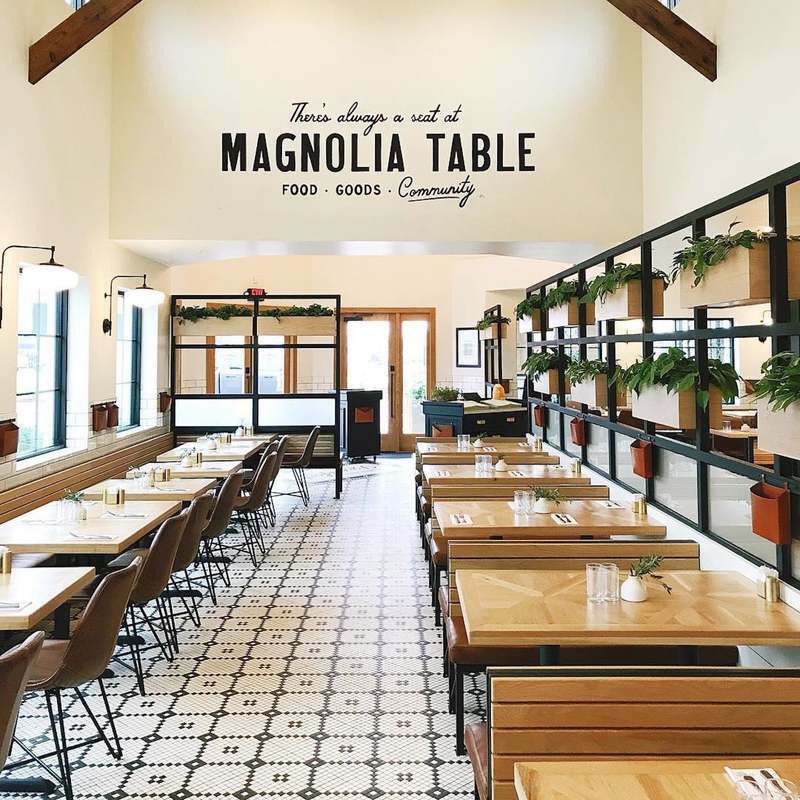 To broaden the experience for those who do not want to wait, the Gaines have also opened a take-away section inside the restaurant and a Magnolia Table food truck at the Silos. Chip and Joanna have helped preserve a historic landmark of Central Texas, and the Gaines will surely continue to further impact the Waco community in years to come. 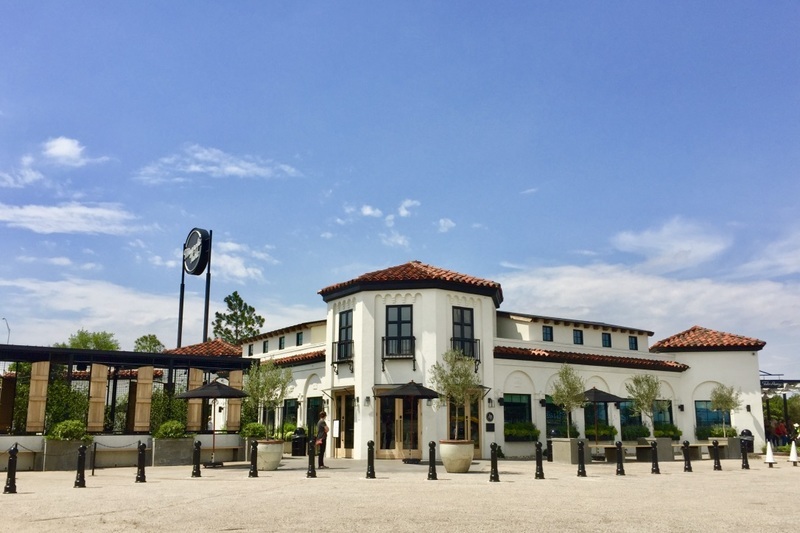 Remodeled Exterior: The Gaines stayed true to the exterior of the Elite building, preserving the Spanish roofing and coastal feel. Chip and Joanna’s hand-prints can be found in the cement outside the front door. ~ Source: Rosen, Aaron J. “Building Exterior .” Homes in Waco Texas, 4 May 2018, homesinwacotexas.com/2018/05/04/magnolia-table/. Teaser: Chip and Joanna created suspense and excitement when they originally purchased the Elite Café and left this message on the sign. ~ Source: “Elite Sign.” Starcasm, 17 Oct. 2017, starcasm.net/photos-magnolia-table-the-official-fixer-upper-restaurant-is-set-for-a-grand-season-5-debut/. Sign in Limbo: Before designing a whole new sign, the Gaines started with changing the name and color of the original Elite sign and opening the Table’s doors to those eager to see all the changes and try the new food. ~ Source: Rosen, Aaron J. “New Sign .” Homes in Waco Texas, 4 May 2018, homesinwacotexas.com/2018/05/04/magnolia-table/. Farmhouse Chic Interior: The strong emphasis on community can be seen in the writing situated over dining patrons. ~ Source: Gott, Joanna. Instagram, 23 Feb. 2018, www.instagram.com/p/BfjtuycFuOI/?taken-by=joanna_gott. A Brand New Sign: The new Magnolia Table sign can be seen from I-35 and draws in hungry and curious visitors. ~ Source: Hicks, Becca. “Magnolia Table Sign.” Happily the Hicks, www.happilythehicks.com/magnolia-table-restaurant-review/. 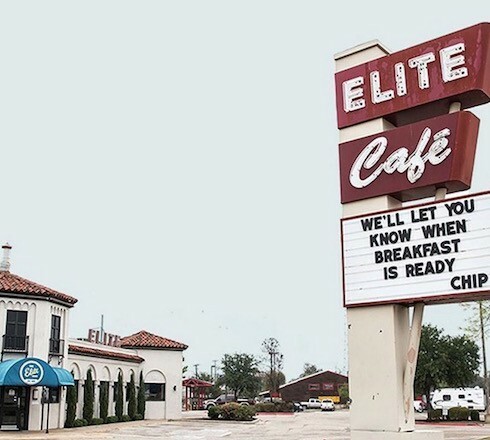 Tribute to the Elite: The small tribute to the Elite Café brings smiles to the faces of Waco locals and those who visited the Elite in the past. ~ Source: “Elite Mural.” Heart, Home, and Travel, 2 Apr. 2018, hearthomeandtravel.com/7-other-things-to-do-in-waco-during-your-magnolia-market-road-trip/. Pristine Interior: The remodeled interior is true to Joanna’s style, but with some historic elements like small octagonal tile. ~ Source: “Magnolia Table Interior.” Magnolia Inc., magnolia.com/table/. 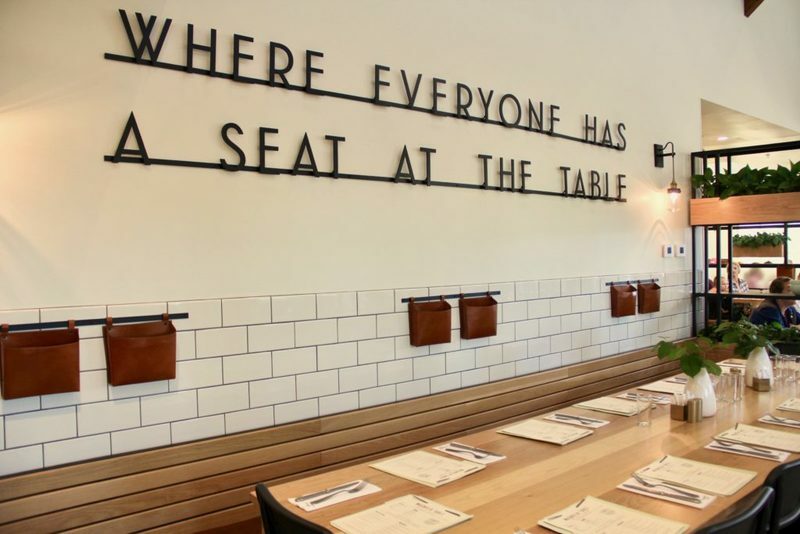 Magnolia Table Motto: The Magnolia Table slogan “Where Everyone Has a Seat at the Table” is proudly displayed on the wall and intends to make all feel welcome. ~ Source: “Magnolia Table Motto.” Unexpected Discoveries, 14 Apr. 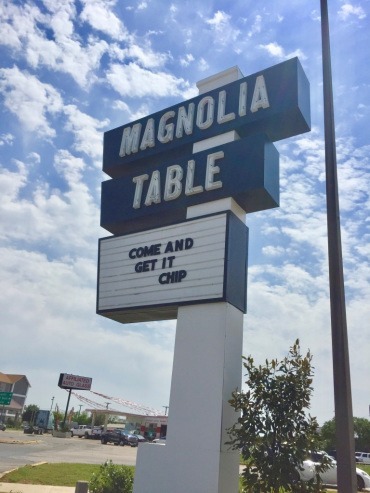 2018, unexpecteddiscoveries.com/2018/04/14/magnolia-table-waco-texas-trip-1/. 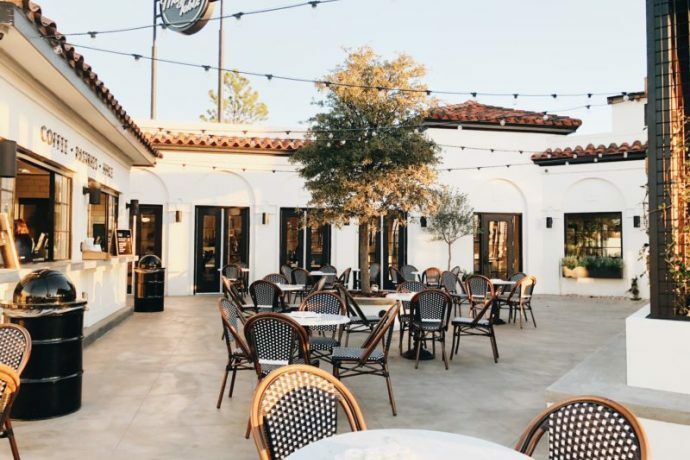 Outside and Coffee Bar: Magnolia Table offers a coffee corner and outdoor seating for those awaiting a table and full meal inside. ~ Source: Cockerill, Cydney. “A First Look Inside the Magnolia Table.” Waco Bound, wacobound.com/a-first-look-inside-the-magnolia-table/. Anabel Burke, “Magnolia Table,” Waco History, accessed April 19, 2019, https://wacohistory.org/items/show/189.